WE DID IT! IT'S DONE! 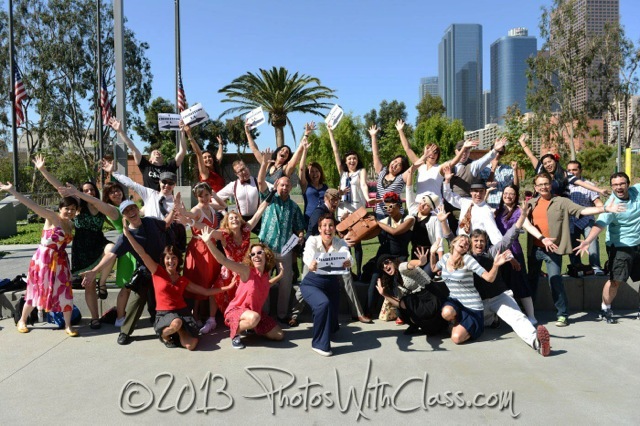 BACKGROUND OF I CHARLESTON L.A.
A Fun Lindy Hop Community Event Open to ALL! 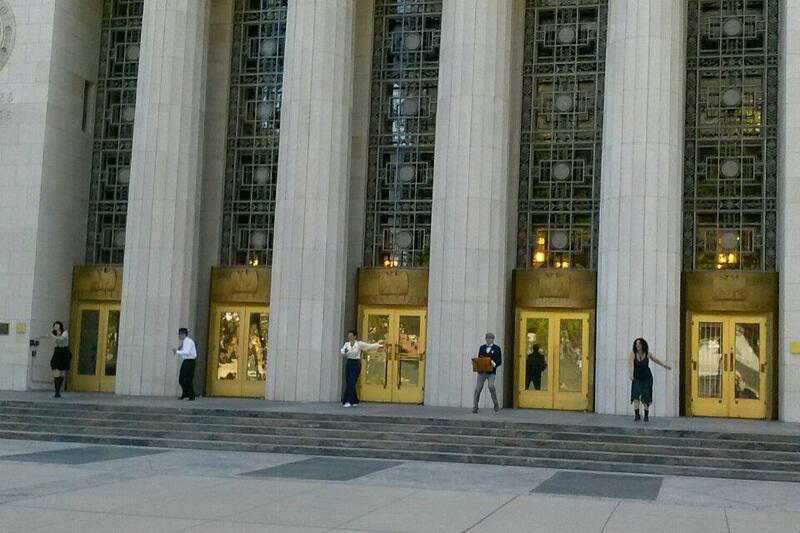 Our big community video shoot came off without a hitch! And it's better than any of us could have dreamt. 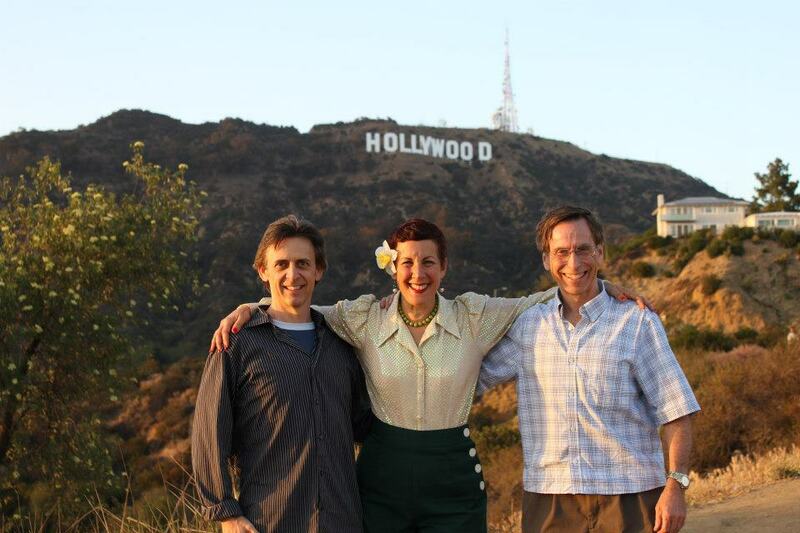 We shot in ten locations, including: City Hall, Disney Concert Hall, The Music Center, Olvera Street, Union Station, China Town, and Griffith Park. 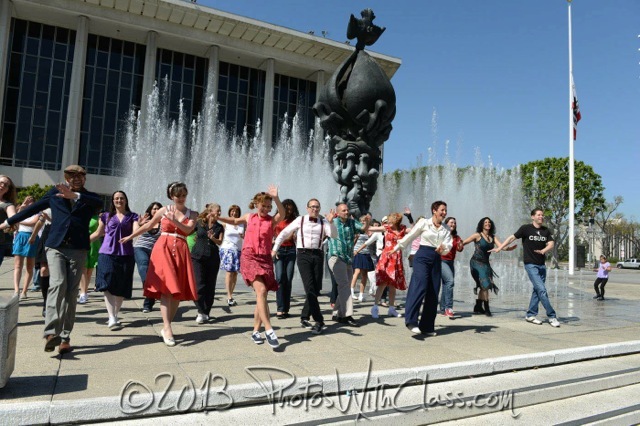 You can still be part of LINDY HOP HISTORY!!! 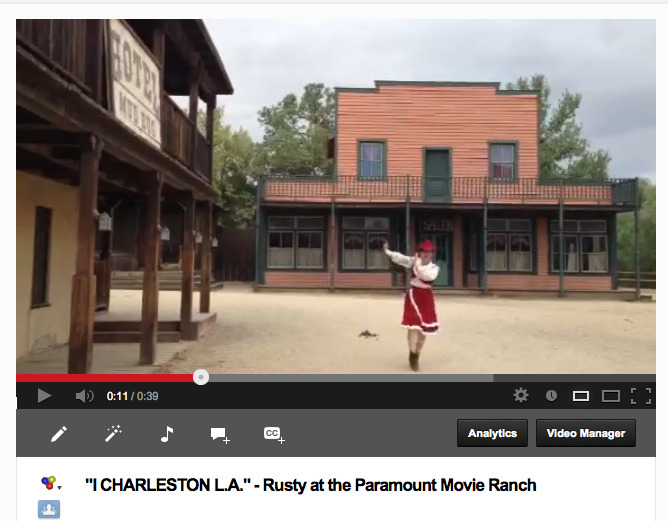 Send us your video doing the Charleston and/or Lindy Hop in front of an iconic L.A. location. See the list below. 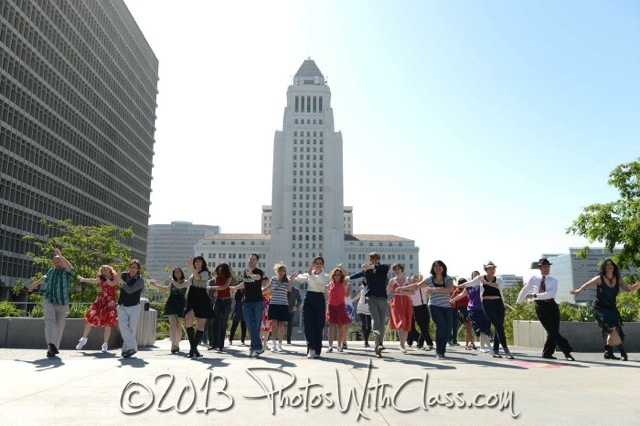 Let's have a blast and show the world the diversity of our city and what fun we have here in L.A.
HOW DO I LEARN THE ROUTINE? WHAT ARE THE SMALLER SHOOTS? HOW DO I SUBMIT ANOTHER LOCATION? CAN I SEE PHOTOS OF THE BIG SHOOT? FOR EVERYONE TO DANCE IN! We then went on with a smaller group and filmed additional locations, including: Olvera Street, Union Station, China Town, and Griffith Park Observatory. 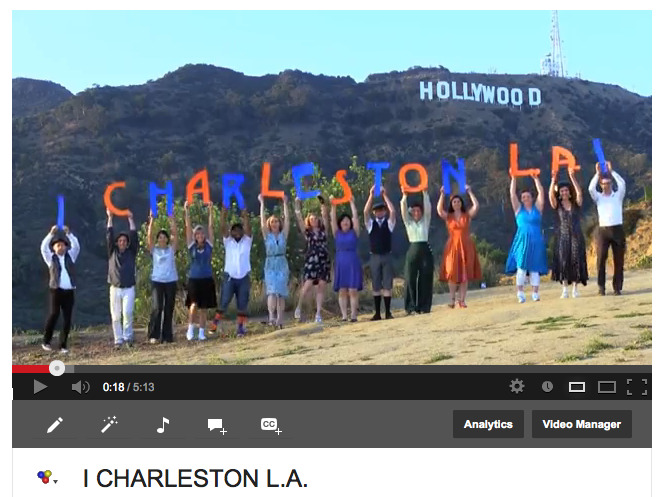 Our very own "I Charleston L.A." video that shows all of us dancing in front of L.A.'s iconic places to post on YouTube! 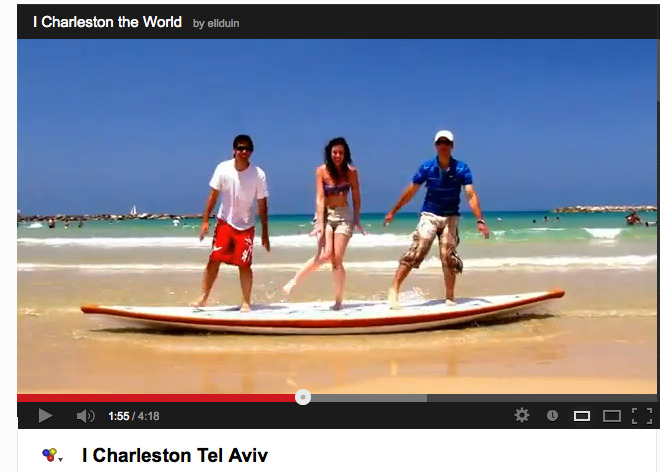 TAKE A LOOK AT "I CHARLESTON TEL AVIV" TO SEE WHAT IT'S ALL ABOUT! Learn it HERE - I teach it nice and slow. It's L.A. Wear whatever you want! 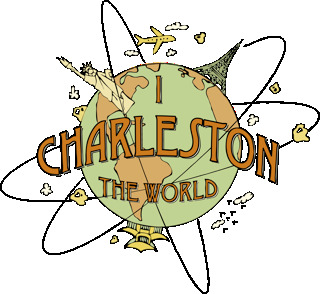 The other I Charleston The World videos show people wearing casual and colorful attire. But, if you feel like it, dress up! 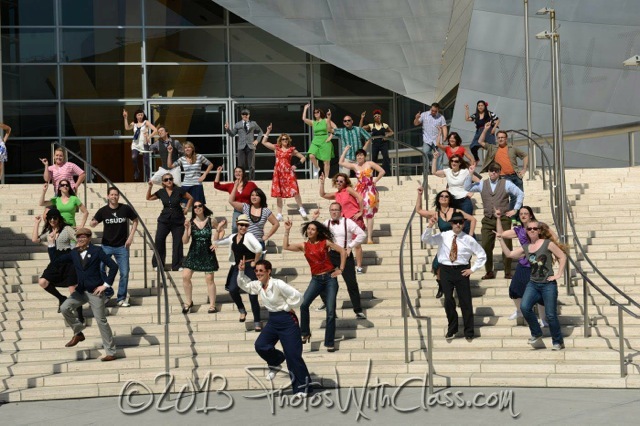 Dress in your favorite swing dance clothes. Dress vintage-y. Dress dapper. Let's have fun with this! 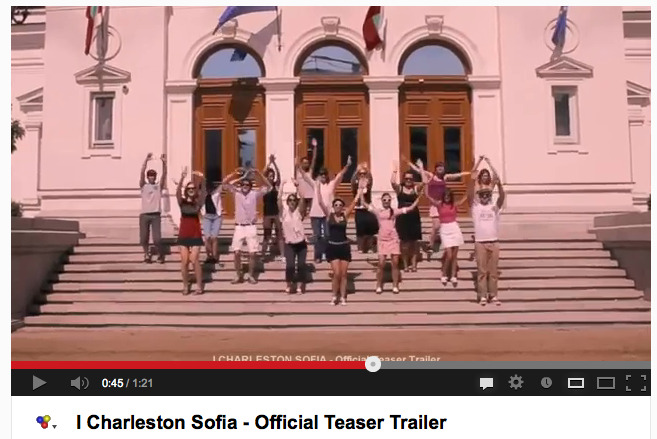 Take a look at "I Charleston Sofia" (Bulgaria) to see how they dressed. SMALLER SHOOTS: We have a list of locations we want to include (List). If you would like to grab one of those, email me - info@rustyfrank.com - so I can remove it from the list. Don't go and shoot until I confirm the location is yours! Hand your camera or iphone to someone! 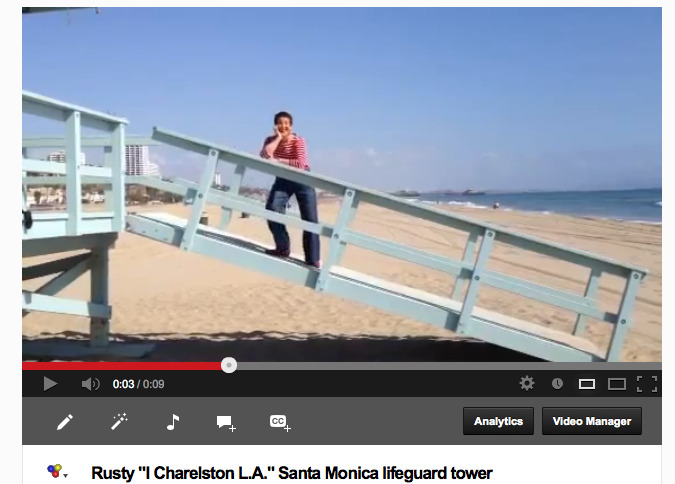 You can load it up on Dropbox and share the link with: info@rustyfrank.com. If it's not a really big file, you can email it to me. Don't worry about the sound, as we'll be taking your video and laying it over the master track. HOW LONG SHOULD MY DANCE BE? I would say, don't make it longer that 8 counts of 8. ANYTHING I SHOULD KNOW BEFORE I SHOOT MY BIT? Make sure the light is good. Actually foggy, gloomy days are great, as shadows aren't cast on you. PLEASE BE COURTEOUS TO THOSE AROUND YOU, AND ESPECIALLY BE QUICK. JUST GRAB IT AND GO! Just film it and send it in! (see above). 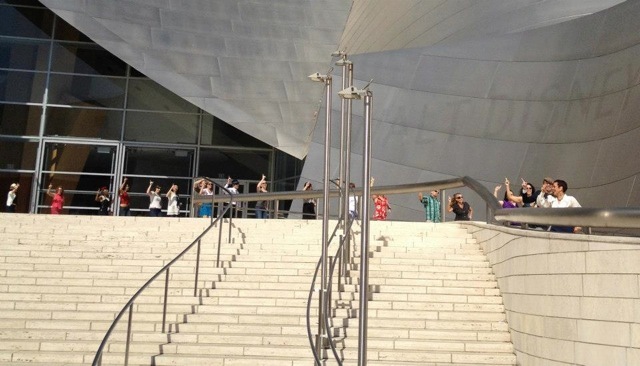 Try to think of a location that is really iconic for Los Angeles. Something that people living in Paris or Berlin would think of as L.A.
Makes sure to go back to the Facebook event page, as I will be posting new information as it comes in!